Born: March 29, 1790, in Greenway, Virginia... 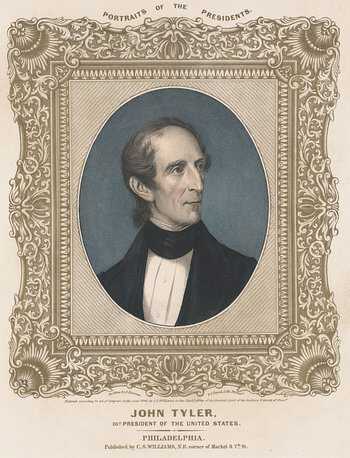 Following the sudden death of William Henry Harrison, Vice President John Tyler assumed the presidency. "His Accidency" quickly ran afoul of his own party; they repudiated him, and some Whigs in Congress attempted to impeach him. His entire cabinet, except Secretary of State Daniel Webster, resigned. A Southern states' rights advocate, he died during the Civil War while serving in the Confederate Congress... Died: January 18, 1862. Although nominally of the same party as Congress, Tyler's administration was marked by its antagonism with legislators. Tyler vetoed the Whig bills to recreate a national bank on the grounds that states should have the right to refuse such an institution. The Whigs dropped the president from their party and almost all of Tyler's cabinet resigned. After he vetoed a tariff bill, the House of Representatives considered the first impeachment resolution against a president in American history. A committee headed by former president John Quincy Adams concluded that Tyler had misused the veto, but the impeachment resolution did not pass. On Tyler's last day in office, Congress overrode the presidential veto of a minor funding bill — the first veto to be overridden. Tyler's major foreign policy achievement was the Webster-Ashburton Treaty with Great Britain. Without a proper demarcation between the United States and British North America (later Canada), skirmishes had broken out along the Maine-New Brunswick line. British Foreign Secretary Lord Ashburton and Daniel Webster worked out the details of a border that bisected the Great Lakes and granted open navigation on those waters to both countries. Elsewhere, Tyler opened diplomatic relations with China, and soured relations with Mexico following the annexation of Texas in 1845. Americans who voted for "Tippecanoe and Tyler Too" were suddenly left with just "Tyler Too" in the White House. Tyler's firm conviction that Harrison's death made him the president in every sense of the word set a precedent that provided for smooth transitions for other sitting vice presidents, from Millard Fillmore to Lyndon Johnson (letters addressed to "Acting President Tyler" were returned, unopened). Tyler's social life provoked scandal — just months after the death of his first wife, he married Julia Gardiner, who at 22 was thirty years his junior and younger than some of his children. The marriage prospered, and it was Julia who introduced the custom of playing "Hail to the Chief" upon the arrival of the president. 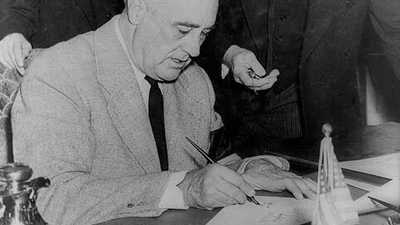 President Roosevelt signing the Declaration of war against Japan in December 1941. 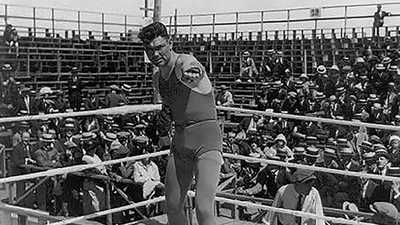 Jack Dempsey's boxing style consisted of constantly bobbing and weaving, and his attacks were furious and sustained. 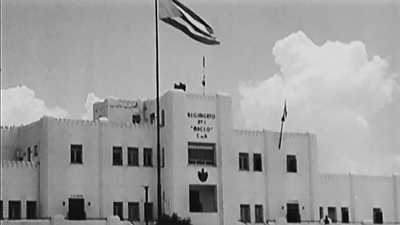 Although Castro's assault failed, storming the Moncada Barracks on July 26, 1953 catapulted him onto the Cuban national stage.